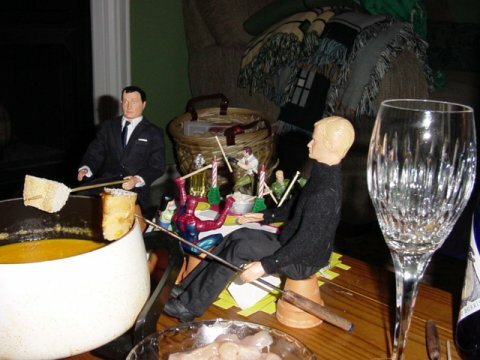 BUNS and NIIK were invited to a quiet little fondue party. 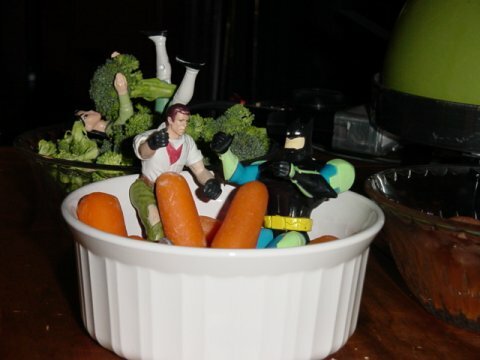 Other guests were Batman Beyond, Spiderman, Dr. Grant, T-Rex, Mulan, and No-Name Army Guy. 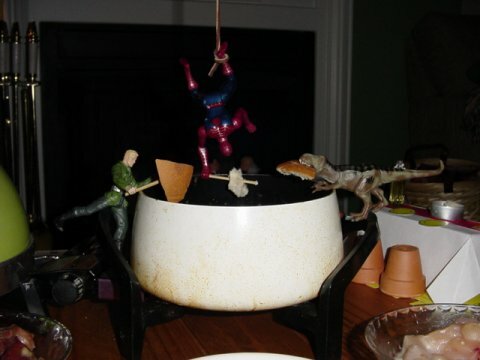 Here’s what happens when fondue parties go bad. . . 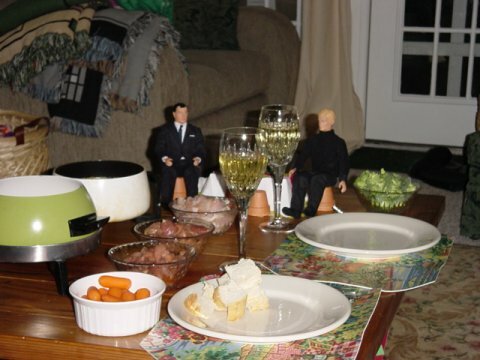 Bread on a stick, cheese fondue, wine, some marinated meat, and raw veggies to cover the guilt factor. Hey! 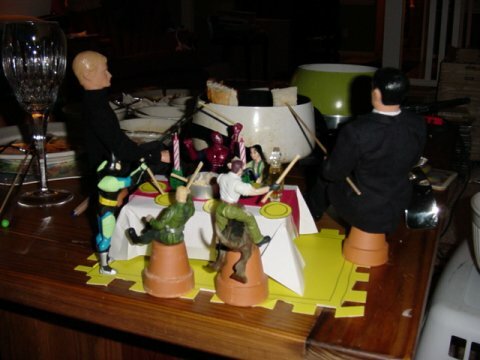 We need some bread on our sticks, too! OK – now we’re talking! Let’s sit over here by the fire. Let’s go sit in the hot tub! Hmm – what happened to the water?! Maybe there was too much wine. . . Yes, definitely too much wine. 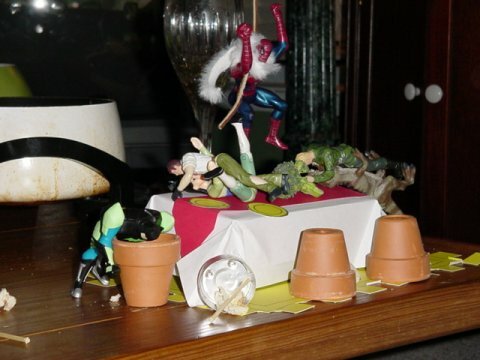 Tagged batman beyond, buns, dr. grant, mulan, niik, no-name army guy, spiderman, t-rex. Bookmark the permalink.